At Haven Property Management we provide residential management service for home owners in the greater Federal Way area. 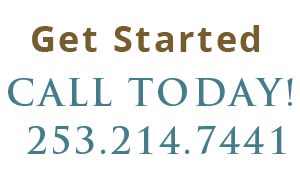 Locally owned and operated no one can do a better job managing your Federal Way rental property. Our goal is to maximize the return on your investment while minimizing your risk by finding and retaining quality tenants. The Haven Guarantee: If you are not completely satisfied with us or our service, you may cancel at any time. Our full service management is designed for the owner who wants to minimize hands on time while maximizing the return on their property. This service covers the complete management cycle! *For pricing see “Simple all inclusive pricing” below. Our Lease Only Service is designed for landlords who need help filling a vacancy but would like to manage the property themselves. After the tenant is moved in and funds are collected, we transfer the appropriate documents to you. Pricing: Our lease only service is one month’s rent ($1,000 min fee). The cost of this service with our Full Service Management is 1/2 months rent ($750 min fee). ~ Our Full Service Property Management is just 8% of monthly rent (*$160 min fee). ~ Our Tenant Placement is 1/2 of one month’s rent (*$1,000 min fee). ~ Our Transfer fee for occupied properties is $750. *Minim fees only applies if the home rents for less than $2,000 per month. Minimum fee does not apply when rent is not collected for a given month. We charge no other fees! No start up fees! No advertising fees! No lease renewal fees! No inspection fees! No “annual” or “1099” fees! No maintenance mark-ups! No hidden fees at all! Have a rental? We have tenants! We currently have a long list of qualified tenants looking to move in the greater Federal Way area. Haven property management is amazing and nothing less. If you can get Dustin Ramsdell stick with him. He and his overhead went above and beyond to get us into our place. He and the company are very understanding people. If i could give more than 5 stars I would. I can't thank him and Haven enough. 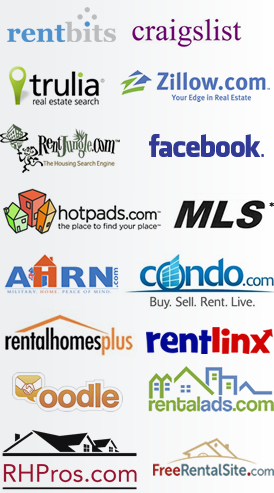 I recommend them to not only renters but for management as well. Their places are clean and in order. More power to you Folks at Haven. Haven has been a property manager for several of my rental properties for a few years now. I worked primarily with Dmitry and Michael. They have been nothing short of amazing so far. They go above and beyond to find the best tenants and enforce a high bar. They treat my properties and my tenants with much more care that I have seen with other property managers. They're also great at communicating with me for urgent issues and are always reliable handling the day-to-day details on my behalf. I wouldn't even consider anyone else for my future acquisitions! Haven Propety Management has been amazing! We were in a tight spot and Dustin went out of his way to get us approved and moved in to our new place fast. Everyone there has been so helpful and kind through this whole process. Thank you Dustin and crew for getting us into our beautiful new place, we love it!